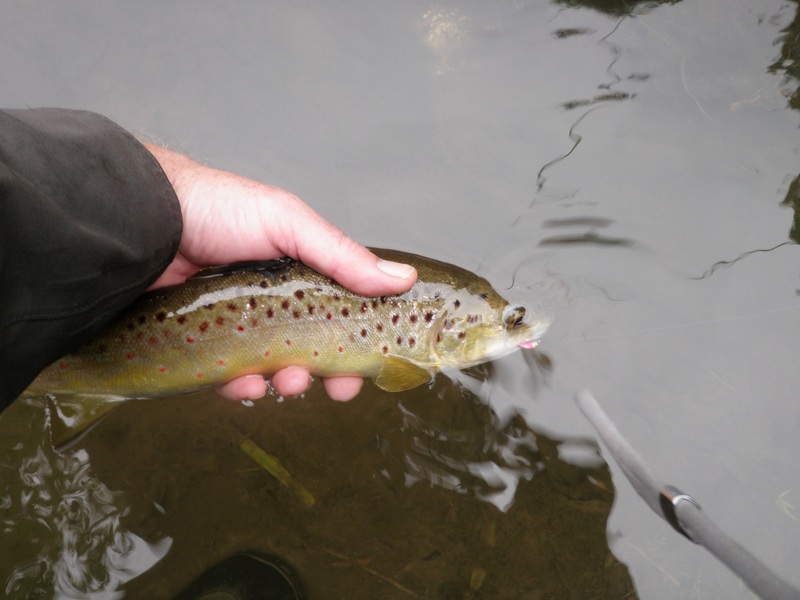 I had a very pleasant session on the river fishing the Upper Water last Saturday. The water was clear and a reasonable height, with not too much wind. I was hoping for a large trout, having spotted a good specimen there previously, and did manage to spook a few, but none of them the monster I was after. I had even brought an appropriate snack to celebrate catching a large trout, a ‘peanut slab’ from big fish country, New Zealand. However, the day wore on, and still no monster trout. On the other hand, a fair few large grayling were visible so I changed tactics, dropping a pink nymph close to a good fish. Before it could react, a trout shot out from cover and took the fly, whilst the grayling promptly disappeared. I did eventually get lucky with a good grayling on my trusty green nymph, and thought I would get an underwater shot whilst it recovered, but before I could even get the camera into the water, it was off. So here are shots of a trout on a pink nymph and my celebratory coffee. 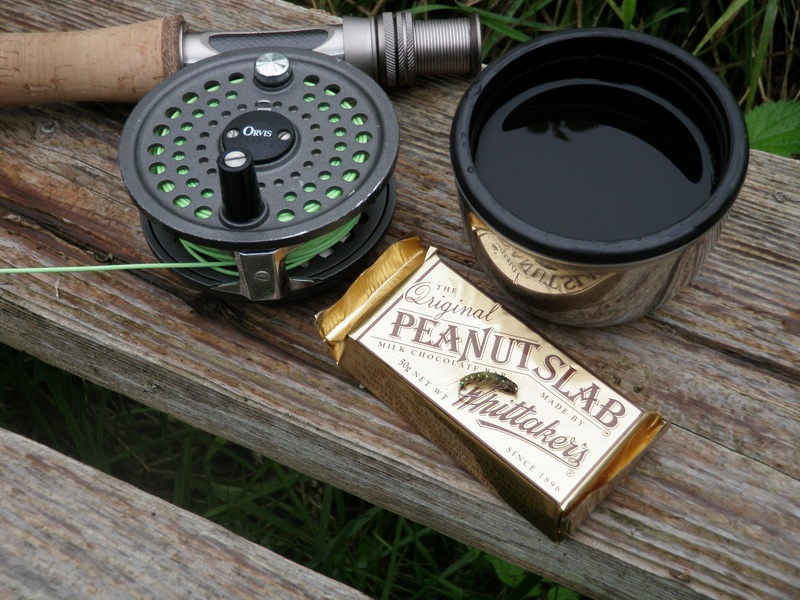 I was nervous the peanut slab would reach its ‘eat by’ date before I ever catch a monster trout, so I ate it anyway.